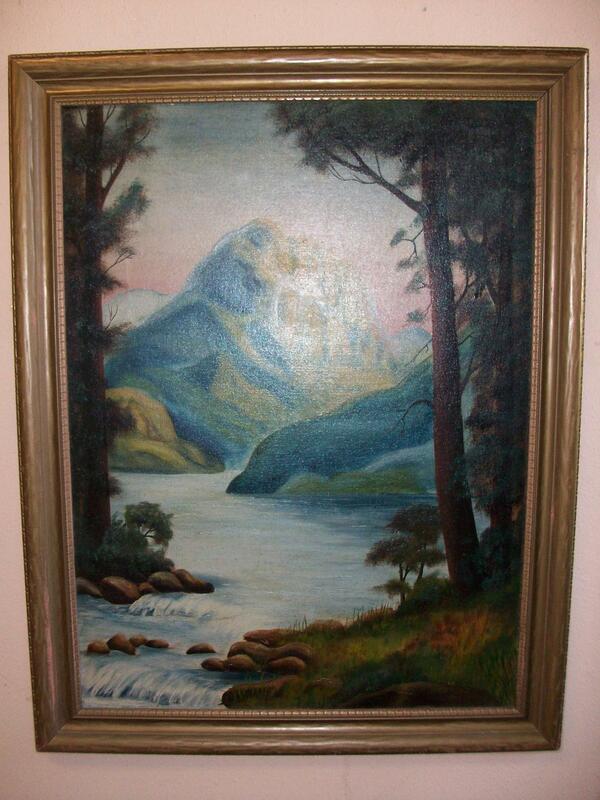 Oil landscape painting on board of a mountain and river scene by an Albert Lea, MN. artist. 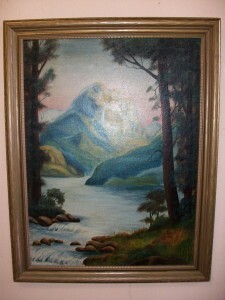 Signed “Hazel Bartness (Peterson) 1935. The vintage frame measures 21 1/2″ Wide X 27 1/2” Long.